Treat your hair to Redken One United Multi-Benefit Treatment, a multi-tasking hair treatment that delivers twenty five benefits to improve manageability, protection and beauty. Lightweight and deeply conditioning, the spray works to reduce dryness and enhance the caring properties of other products, softening the texture of styling treatments for smooth and nourished results. Hair will be softer, stronger and easier to manage with added shine and improved frizz control. - K.N. Helps prevent breaking from brushing. Helps seal in hair cuticle. Helps shield vs. external aggressors. Alone: Apply after cleansing to refresh hair between washes. With a rinse-out treatment: Apply after cleansing and before rinse-out treatment. With a leave-in treatment: Layered after cleansing. With a styling product: Apply before or after styling. Aqua / Water / Eau, Cocos Nucifera Oil / Coconut Oil, Amodimethicone, Polyquaternium-37, Phenoxyethanol, Propylene Glycol Dicaprylate/Dicaprate, Parfum / Fragrance, Acetamide Mea, Lactamide Mea, Dimethicone PEG-7 Phosphate, PPG-1 Trideceth-6, Trideceth-6, Behentrimonium Chloride, Xylose, Lactic Acid, Ethylhexylglycerin, Cetrimonium Chloride, Hydrolyzed Vegetable Protein PG-Propyl Silanetriol, Citronellol, Geraniol, Linalool, Alpha-Isomethyl Ionone, Viola Odorata Extract, Viola Odorata Flower/Leaf Extract, Sodium Hydroxide. I have purchased this product multiple times as it works as an excellent heat protection spray when straightening or blow drying my hair. 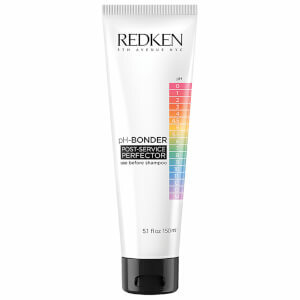 It doesn't have much of a scent and leaves no residue on my hair that I find some of Redken's products can do. The pump sprays the product evenly over the hair too and a little goes a long way. This product is absolutely fabulous. Definitely a go to product. Will ensure I always have stocks in the bathroom cupboard. Makes my unruly wavy locks behave day in and day out. Can’t praise enough. I bought this after I read a review saying it was fab , it is and this is the fifth bottle I’ve bought both for myself and for presents. Everyone who has used it loves how it works and it smells lovely too . This is absolutely brilliant. Makes hair much more manageable and easy to style when blow drying. Leaves it soft with a fantastic shine. Use it all the time. Do I really need to say anything... 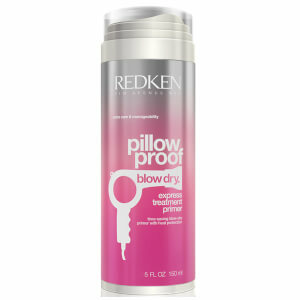 I mean- it is REDKEN, of course it's an amazing product... and now a new member in my "must have" hairstyle collection. I cannot recommend this enough, I honestly could not be more thankful that I was introduced to this a couple of years ago. My hair used to be quite damaged and difficult to brush after a wash but this has honestly made that so much easier for me, it smells good too and does not leave hair greasy. I use this on towel-dried hair before I rough dry and apply styling product. It leaves my hair feeling soft and silky and easy to brush, with a delicate scent of roses. Marked down one star as it doesn't seem to add shin and frizz reduction is minimal. First time I have used this and read reviews first, some of which said it can be too heavy near roots so I apply by spraying onto my hand first and then running it through, so avoiding roots. Yes it makes hair very manageable and I like it.